If you are a person who loves to travel and you have a pet, then you are probably in the need of a carrier. It doesn’t matter if you travel with a plane or a car; pet carrier is essential thing to have with you. So, I present to you list of 10 best dog carriers. Trust me, you will love them! This is the crème de la crème of pet carriers and it has reasons for that. 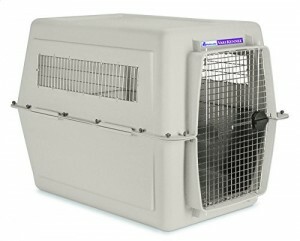 It has durable wire windows, heavy duty kennel fasteners, and also secure locking door. It is very eco friendly, made out of 25 percent recycled materials and it meets USDA and IATA requirements for shipping live animals. It is 48 inches long, 32 inches wide and 35 inches high, made for pets up to 34 inches tall. This is a mobile pet bed, it can be placed in cabin airplane or car seat and it is meant for pets of up to 17 and a half pound. Top and end open for easy access of your dog friend and it has large pockets on both sides that can be zipped. It is made of luggage grade nylon on the outside and ultra plush polyester on the inside. Since it is very easy to fold, you can storage it when you not need it. SturdiBag is compact and very light pet carrier and it can hold up to 40 pounds, but it is probably the best to use is for small breeds up to 25 pounds, such as Jack Russell Terriers since they will be more comfortable inside. It has zipper security clips and Velcro secured interior fleece. It also has adjustable four point padded shoulder strap and also a leather hand grip. Retractable privacy flaps on all mesh windows make this carrier especially comfortable and private. This carrier can be used by dogs up to 15 pounds and it has multi stage telescopic carrier handle is 41.5″ long with handle extended, so you can pull it anywhere you want. Your dog friend can see everything with mesh on 3 sides and it will feel comfortable in it. Safety straps are there for your dog’s safety; since you can attach your dog’s collar to it. This snoozer pet travel carrier is a favorite. Are you are looking for a modern pet carrier? This one is the most stylish one among these 10 best dog carriers. It is guaranteed on board and airline approved on most major airlines. It has seat belt strap and mesh panels for ventilation, and also top and side entry. In rear pockets you can keep treats and toys for your dog, and this carrier is meant for dogs up to 16 pounds. This carrier can be used also a lightweight portable pet home. It is made out of tightly weaved mesh fabric panels that surround extra strong steel frame. It is meant for pets up to 25 pounds. And as for installation goes, it can be set up and installed in a moment, you need no for tools. Measures are 24 x 16 x 16 and your pet will love it. This is carrier and car seat in one product. It has front and top zippered mesh windows and since fleece pad cover is washable, so you don’t have to worry about getting dirty. Tether is included for keeping your pet close at your hand. This carrier can be easily attached with car seat belt so it will keep your carrier secure in the seat next to you, and your pet comfortably placed in it. When it comes to pet supplies and accessories OxGord is the top rated by consumers, so you know you are getting the best. This carrier is compliant with most airlines and it includes removable fleece travel bed, padded shoulder bag, and lost and found tag and storage compartments for treats and toys for your pet friend. It is made out of breathable and durable fabric, allowing maximum airflow. 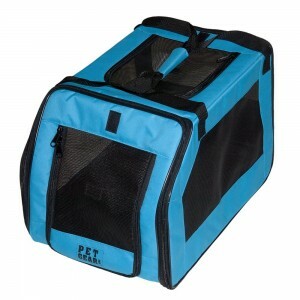 This carrier is meant for pets up to 22 pounds and since it has soft washable fleece bed, you can keep it clean easily. Half zipped opening on one and full zip opening on the other, and also added mesh panels will allow your pet to have maximum accessibility and ventilation for your pet. Shoulder strap is optional and adjustable so you can use it or leave it aside, as you wish. This is stylish solution for you and your pet friend. This is different kind of pet carrier, and you will love it. It has safety collar hook for extra security and you have to admit it is perfect combination of convenience and style. This sling measures 9 inches depth and it can hold pets of up to 12 pounds, so it is meant for smaller breeds. You can wash it cold water on a gentle cycle and it will make an adventure from every walk. This is over-the-top nice pet sling. It is hard to find a perfect carrier that will have affordable price and excellent durability, and most important, that it will fit your dog. If you are looking for a good pet carrier then you should choose the one from this 10 best dog carriers list, because these 10 dog carriers are the best of best in carrier’s world.